Story has on/off time set, this may cause issues. Ray Brooks (chemical engineering '83), Executive Vice President of Refining, Marathon Petroleum. 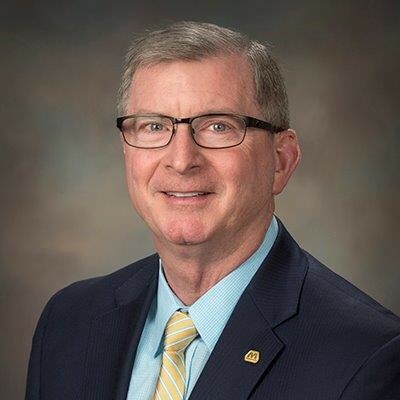 As executive vice president of refining at Marathon Petroleum Corporation, Ray Brooks (chemical engineering ’83) oversees the operations of the nation’s largest oil refinery. His time at Marathon has ensured that millions of Americans can fill their gas tanks every day. On Oct. 4, the University of Cincinnati's College of Engineering and Applied Science (CEAS) honored Brooks with its Herman Schneider Distinguished Alumni Award at the college’s annual Alumni Awards Dinner. The award recognizes the achievements of alumni who reflect the standards of excellence of the academic departments and disciplines they represent. 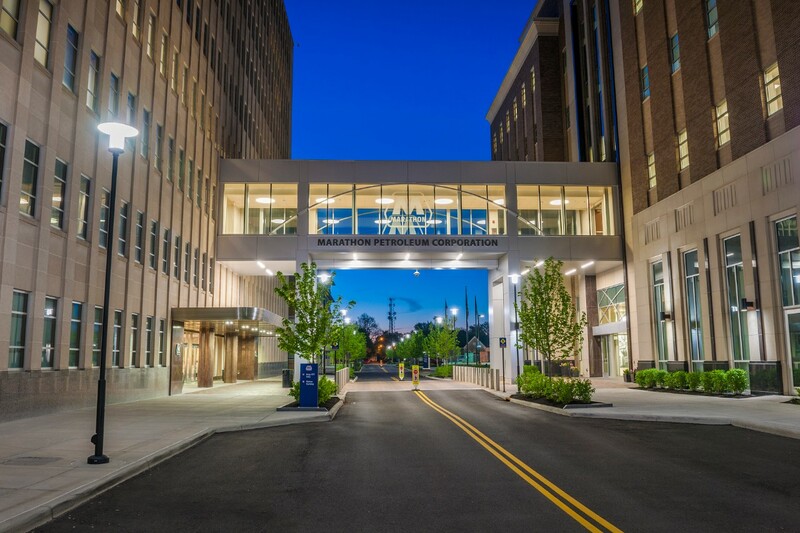 Brooks’ leadership, management and commitment to quality and safety have both reflected the college’s mission and helped shape Marathon into a company it is today. With Marathon’s recent acquisition of Andeavor, Brooks’ role in the world of oil refining will only increase. With the merger, Marathon becomes the largest U.S. refinery and the fifth-largest in the world. This recent development demands certain short-term challenges and opportunities that Brooks looks forward to addressing. Just as importantly, though, Brooks sees the success of Marathon inherently tied to a long-term commitment: investment in students and the next generation of leaders. Brooks credits UC’s nationally renowned cooperative education (co-op) program as a key to this long-term goal. Speaking from his own experience as an engineering student at UC, Brooks says he wouldn’t have been able to afford college without co-op. Marathon Petroleum Corporation's headquarters in Findlay, Ohio. With its recent acquisition of Andeavor, Marathon becomes the largest oil refinery in the nation. Photo/Marathon Petroleum Corporation. After he graduated from UC, Brooks took several technical and management positions in Marathon refineries across the country. He served as general manager of Marathon’s St. Paul Park refinery starting in 2006 and its Robinson refinery in 2010. In 2013, Brooks was named general manager of the Galveston Bay refinery, Marathon’s largest refinery, and one of the largest in all of North America. The refinery, however, was a recent acquisition from another company, and it came with a troubled past. Over the next three years, Brooks oversaw several thousand employees and several hundred contractors, introducing the people to the Marathon culture and standards and turning the refinery around. During that time, Brooks never forgot his roots, continuing to invest time and energy into the community and the next generation of leaders. At Galveston Bay, Brooks was an advocate for students, helping gain commitment from Marathon to build a lab in the local high school and support a vocational program, both dedicated to science, technology, engineering and math. He served on the local United Way board and became an active member in community fundraising events such as the Texas City annual shrimp boil. At this event, Brooks embraced his passion for cooking, alongside some of his colleagues, providing food to more than 1,500 people. It’s important that we’re not just doing our thing and going home. I’ve always thought it was important that we give back to the community. In 2016, Brooks was promoted to senior vice president of refining at the company’s corporate offices in Findlay, Ohio. After the acquisition of Andeavor, he took on the role of executive vice president. Since his move back to Ohio, Brooks has acted as an informal liaison between his alma mater and Marathon, taking a role as one of the most prominent faces of UC. Every year, Marathon hosts several UC-Marathon student engagement activities, and Brooks is central to the planning. Brooks consistently serves as the executive sponsor for UC’s Annual Emerging Ethnic Engineers (E3) Graduation Celebration, an event that takes place on one of Marathon’s barges. This evening of cookouts, games, music and dancing gives Brooks an opportunity to meet UC students before they start their first semester while also serving as a platform to share his experiences at UC. In 2016, Forbes named Marathon the nation’s best employer. Brooks prides himself on living up to that title by staying connected to the community and building on the company’s culture. Brooks’ recent alumni award recognizes these values and achievements and also reinforces UC’s commitment to business, education and service. 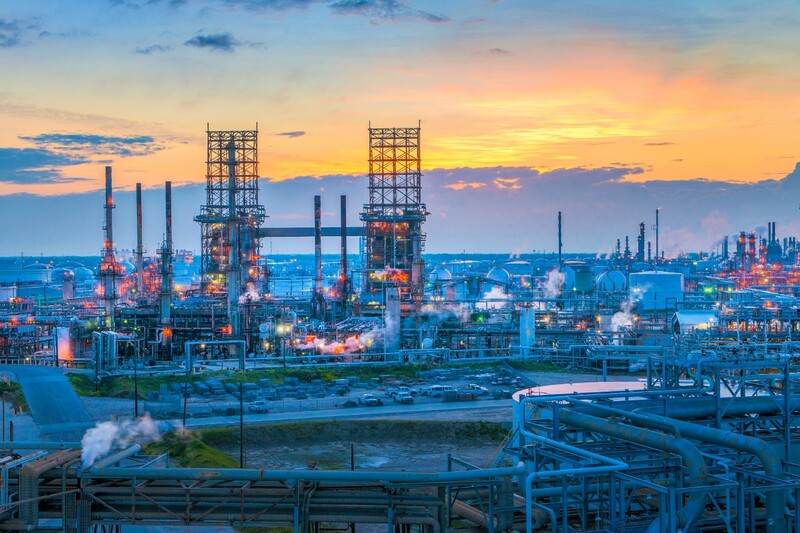 Featured image at top: Marathon's Galveston Bay refinery in Texas, the second-largest refinery in the nation. Photo/Marathon Petroleum Corporation. There are 285,000 living alumni of the University of Cincinnati. Read all about their impact at the UC Alumni Association page.